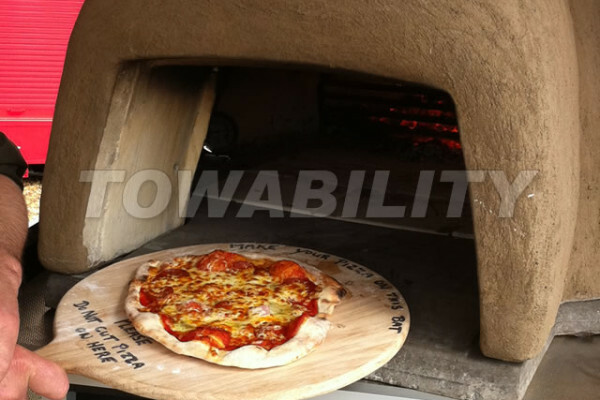 Pizza’s are always a popular fast food add this to the theatre and authenticity of a wood fired oven and you have a sure fire crowd puller. 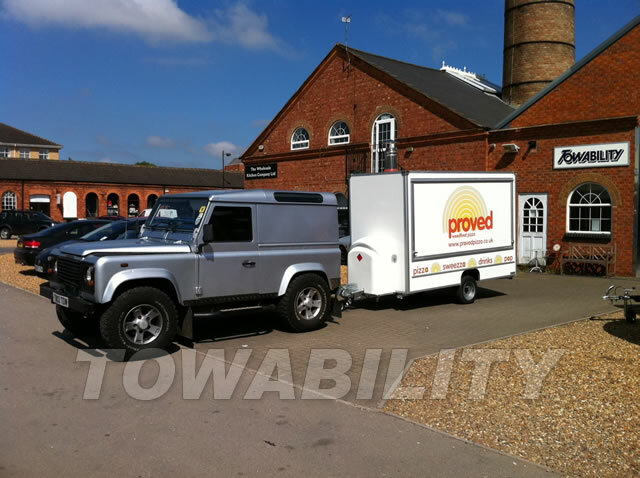 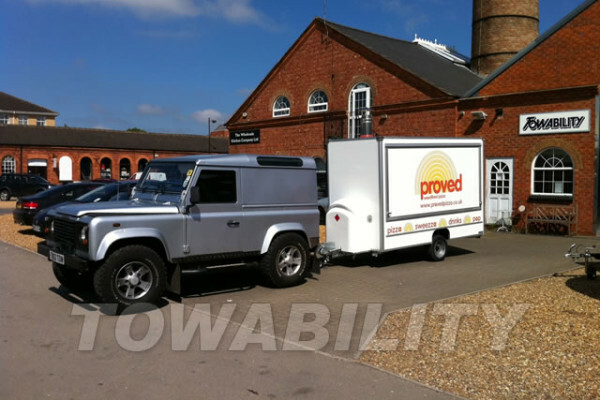 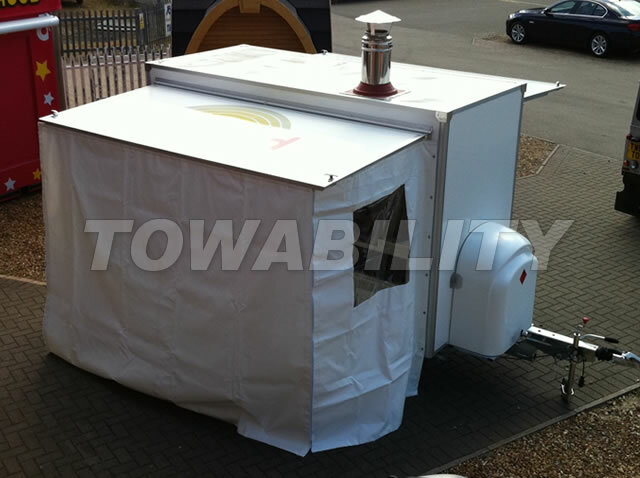 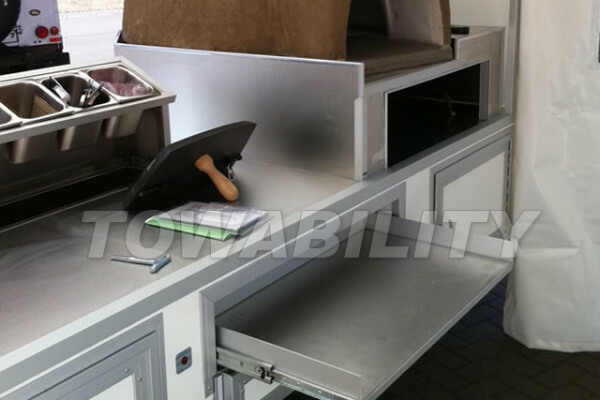 Put all this in a very compact and mobile unit that has the advantage of ground level selling, manoeuvrability and the possibility of being towed by most family cars makes this an ideal start up business opportunity. 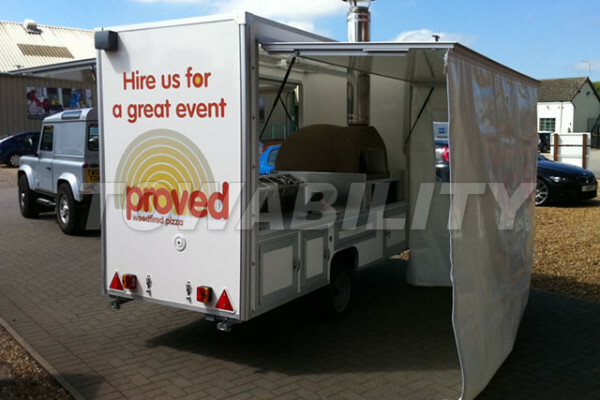 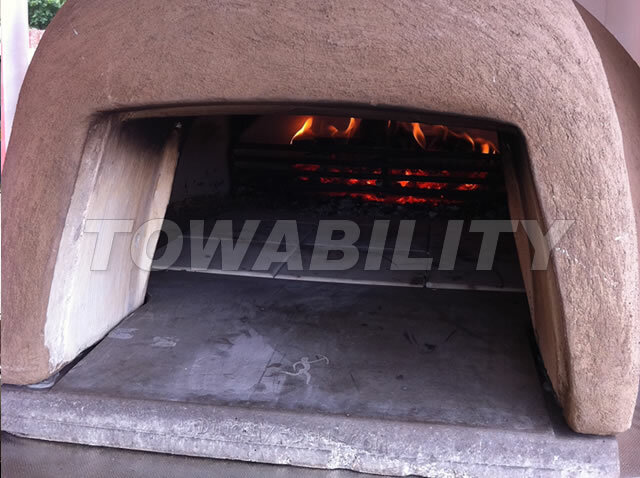 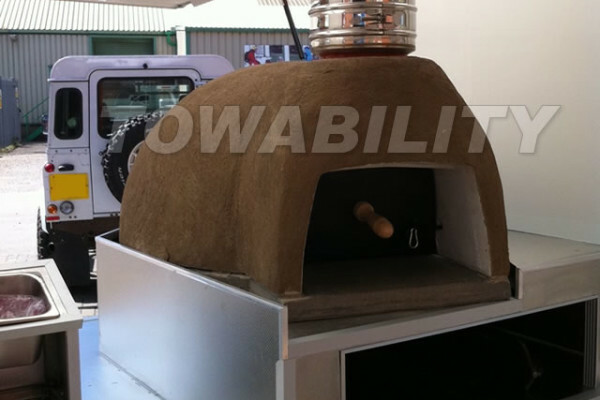 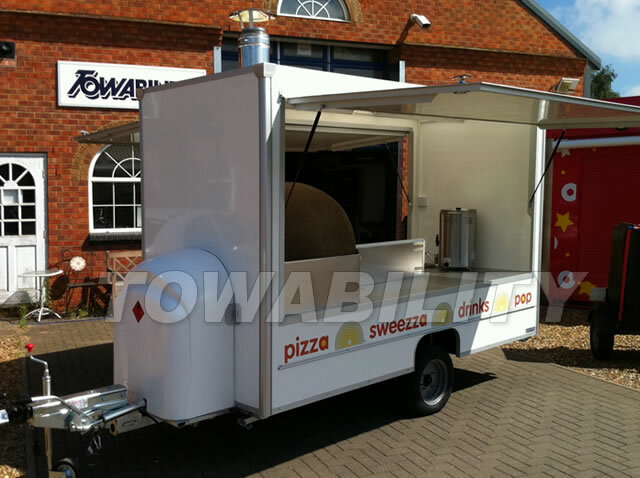 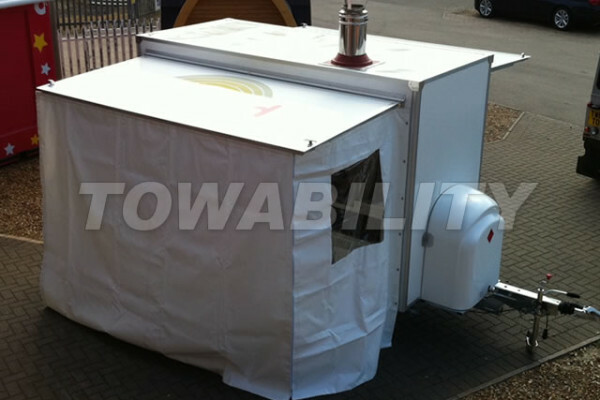 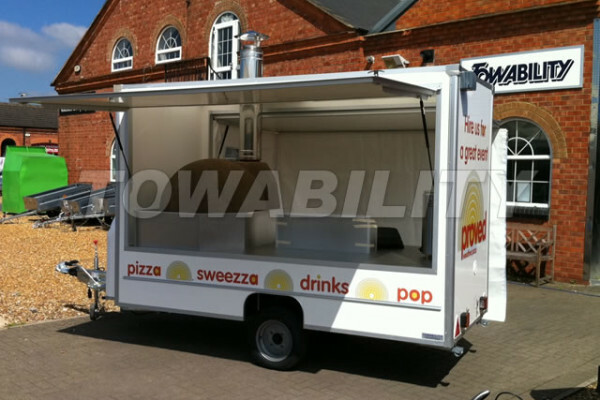 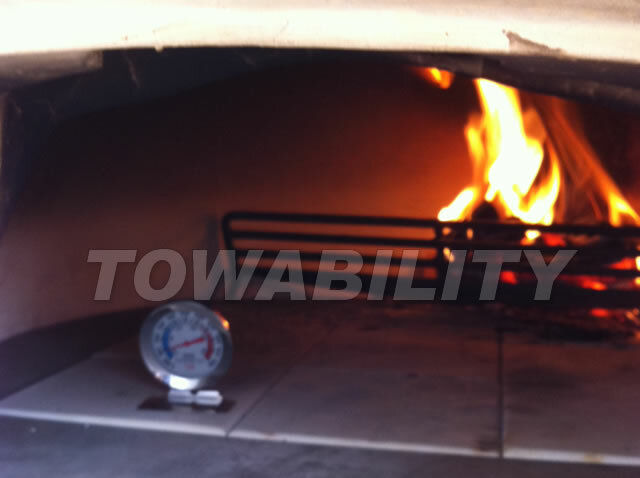 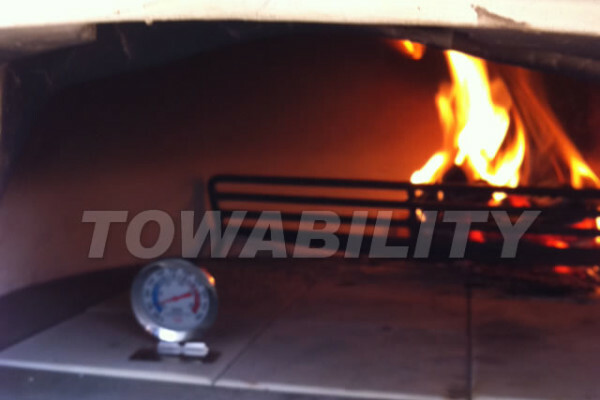 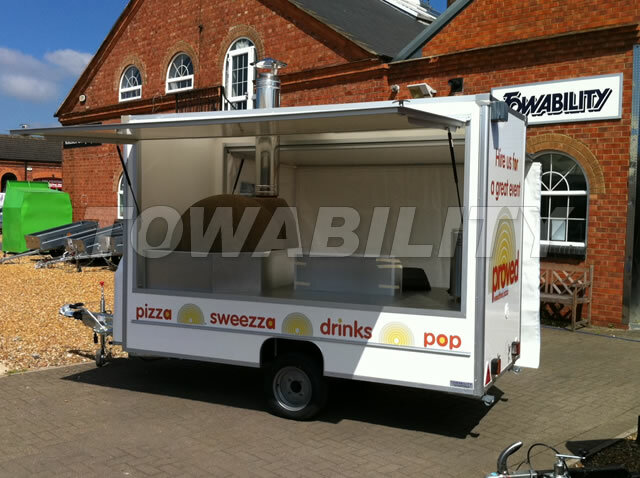 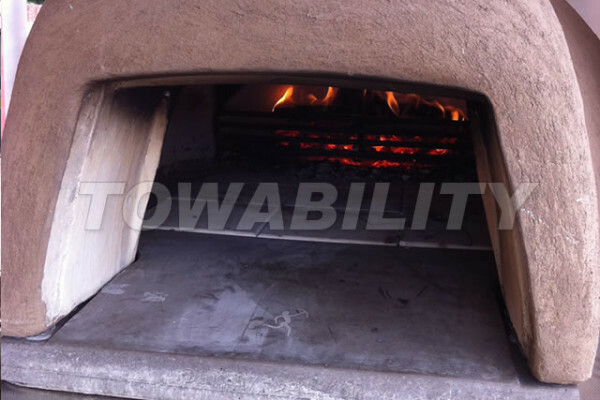 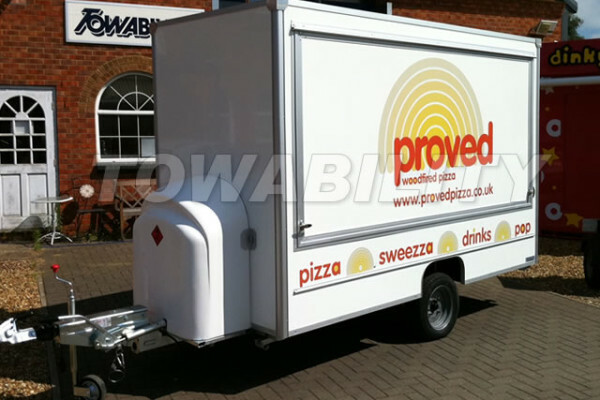 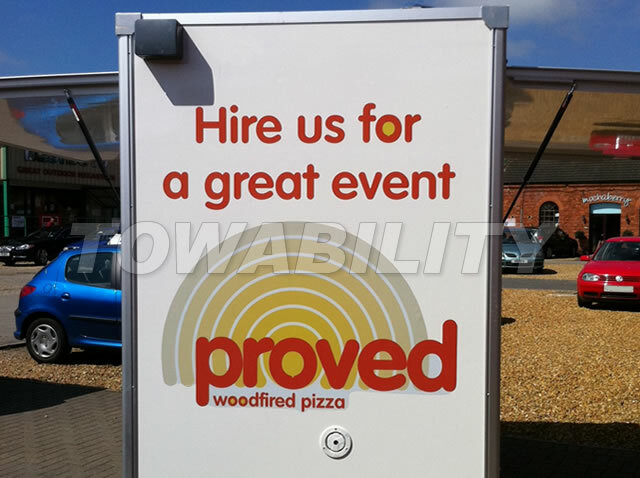 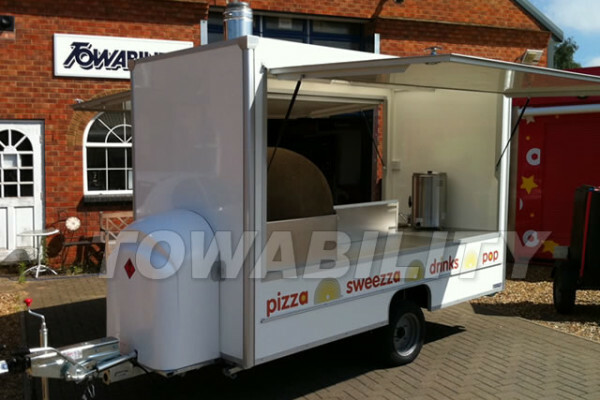 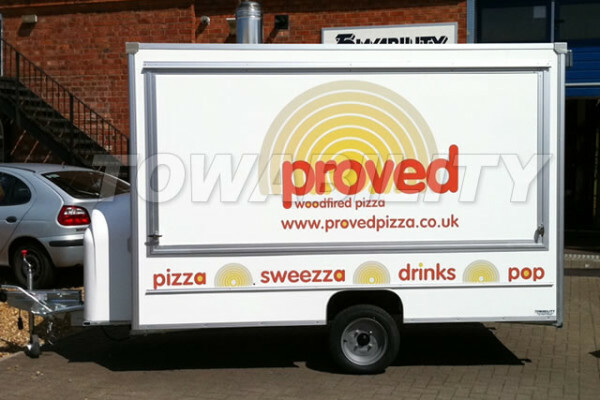 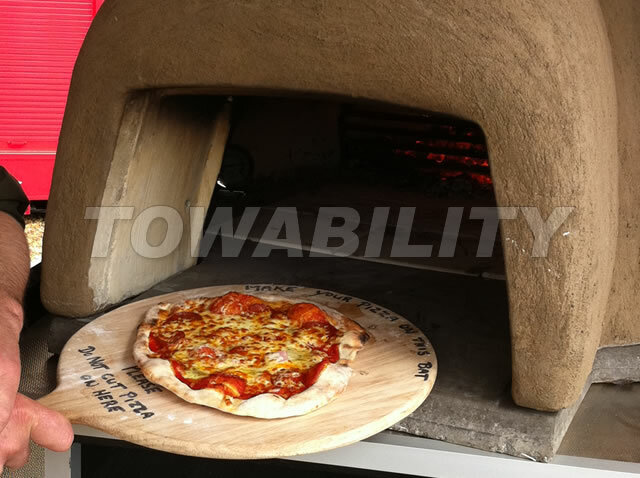 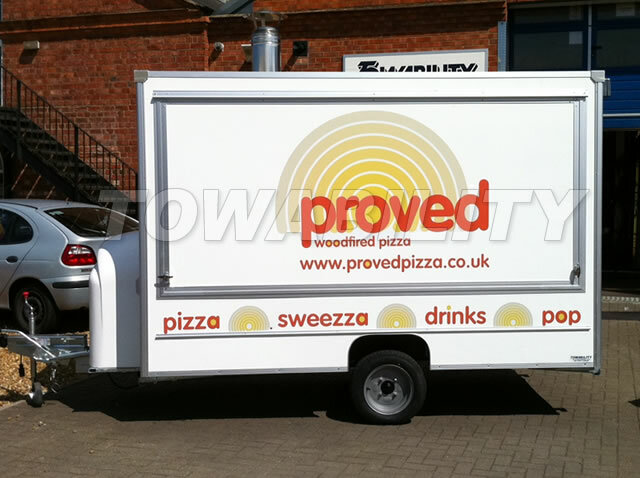 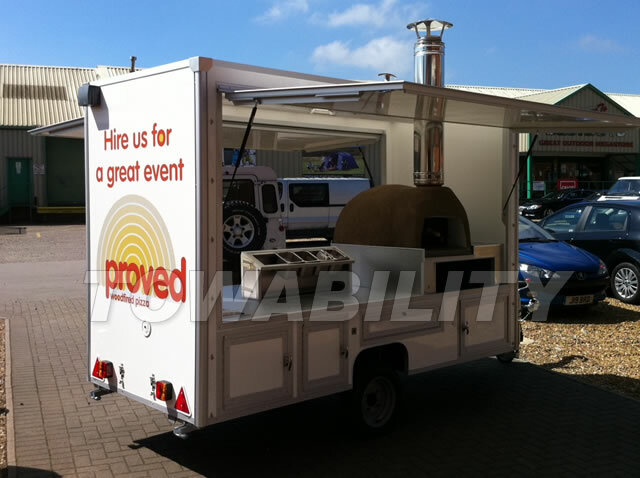 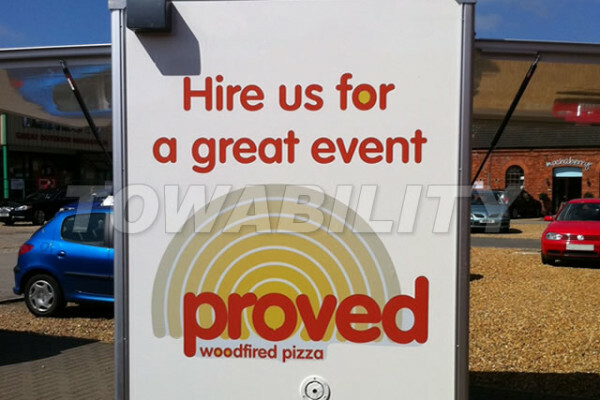 Another Towability Euromarketeer, this time offering wood fired pizza. 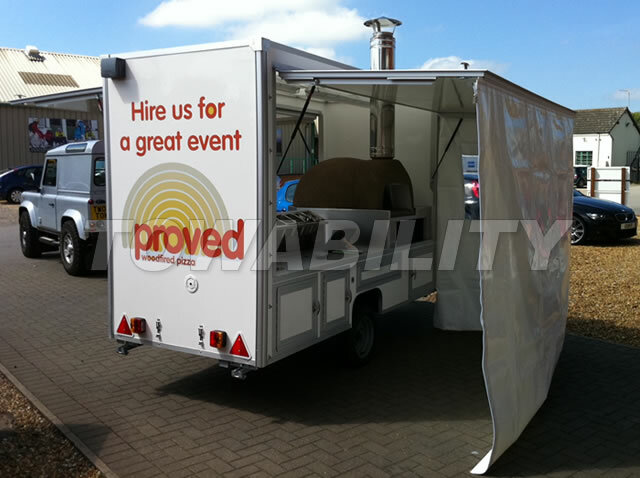 With a rear custom canopy, that attached to the rear hatch provided by Corby Canvas. 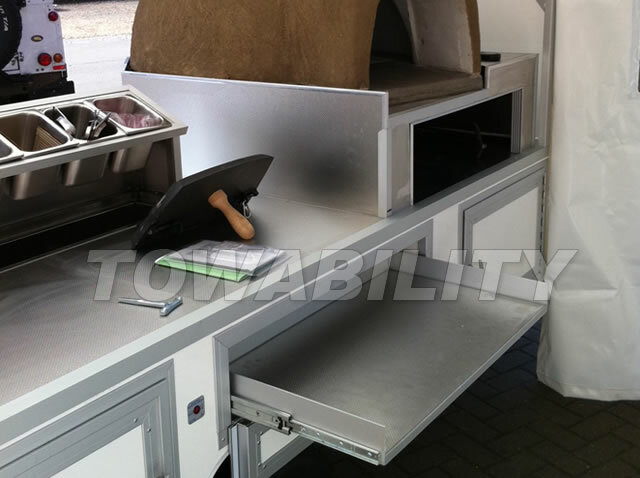 This makes an ideal food prep area and shade. 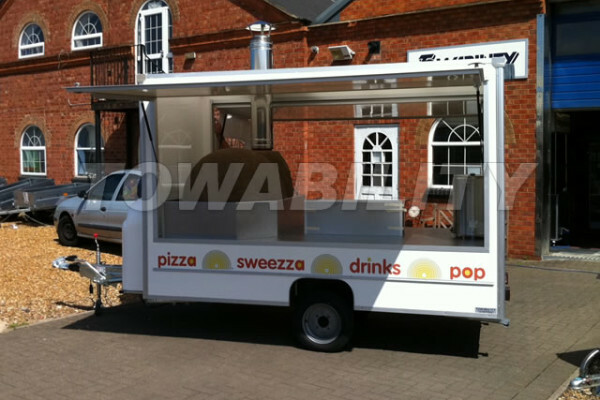 It also turns the catering trailer in an internal vend. 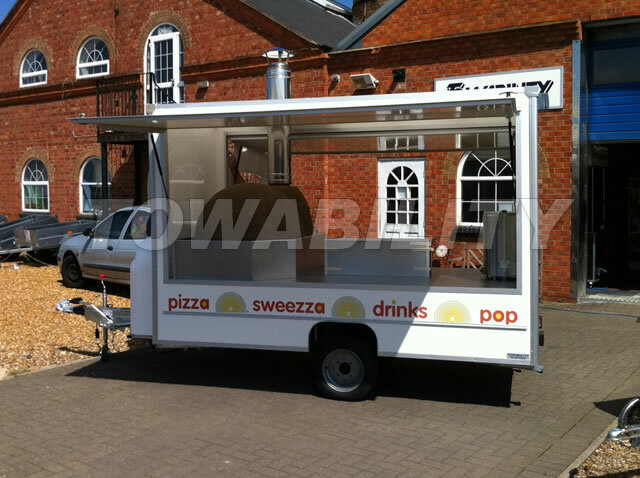 With great versatility and eye level serving, this makes for a great mobile street food solution.